At one point or another, every one of us will face nature’s sin: Aging. Our bodies do not remain the well-oiled machine known in our youth forever (despite how much we may want them to be), and often times, the proof lies within our skin. Your body becomes less efficient as you age and simply cannot produce new tissue as well as it could before. 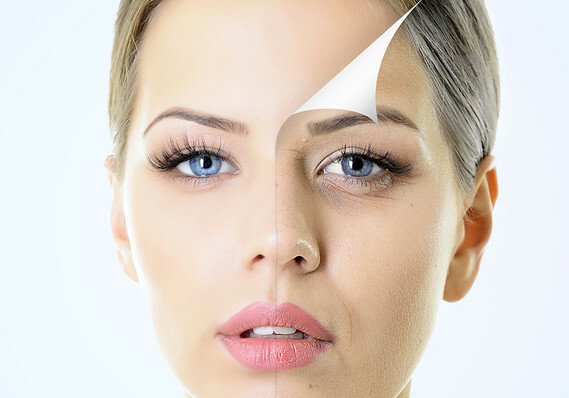 Combined with other external factors, aging often has an adverse effect on your skin. When you’re young, your skin renews itself approximately every month. At essentially every moment of the day, microscopic dead skin cells are being shed and new cells are replacing them. However, when you get older, this cell turnover rate decreases, and your skin is often left looking duller and rougher. You’ve probably heard the word “collagen” thrown around products designed to combat aging, and this is because as you age, your body’s collagen production also decreases. A lack of collagen leads to a loss of elastic tissue, and results in wrinkles and loose-hanging skin. Lastly, there is less blood flow through the dermal capillaries when you’re older. With a weakened blood flow, nutrients are less efficiently able to travel to the epidermis, and this subsequently produces a thinner that is dry, fragile and prone to bruises. Despite how many times we may wish to stay twenty-one forever, aging is an inevitable reality that often takes a toll on our skin. Don’t entirely give up on your eternal skin care goals just yet. Factors like sun exposure, stress, obesity, and even daily sleeping position can all play a role in the way your skin develops as you age. Skincare is a life-long task— your skin may not look the same forever, but you can definitely take steps to avoid further weakening it.